Newly elected political leader of National Democratic Congress wants supporters and advocates of the Party who have wandered away to “come back home” because they have a positive contribution to make towards the rebuilding of the organisation, which lost the 19 February 2013 General Elections without winning any seats to the House of Representatives. 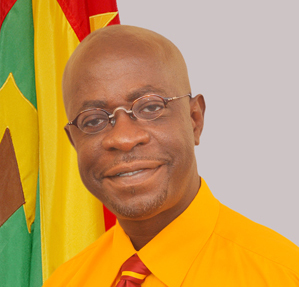 Former Finance Minister Nazim Burke was elected the new leader on Sunday at the Party’s convention as former leader Tillman Thomas had indicated he would not seek re-election. In the lead up to the Convention, one of the party’s main strategists, William Joseph, resigned from the party as he openly expressed his concern and disapproval about Burke becoming the new leader. Williams felt that Burke was the not the best person to lead the party, but would make a good contribution towards a new executive team. However, on Sunday during its closed-door session, the almost 400 delegates voted for Burke to lead the party from the next year. In his inaugural speech as Political leader, Burke told supporters during a rally that the NDC of 2008 is now a different party with different persons, who are prepared to rebuild and strengthen the party which has lost supporters. “I must apologise to those who have had distressful moments,” he said, as he issued a call for former supporters and close associates to have discussions with a view to resolving issues. “I am willing to meet and discuss what ever were your complains,” he said, as he promised to listen and find solutions. “There are always differences in family, but we can come together and work things out,” he said.